Investment in Mexico is at historic highs. The country received a record $35.2 billion in direct foreign investment in 2013, which is nearly double the level seen in 2012. At a tourism conference in May, 2014, Mexico's president announced plans to invest over $14 billion to expand and modernize its tourism infrastructure, further improving Mexico's standing as a global travel hub. Mexico welcomed 23.7 million visitors in 2013, generating revenues over $13 billion, an 18% increase over 2012, which was also a record year. Meanwhile, 68 million nationals traveled within the country. Businesses expect the investment to create over 100,000 jobs in the tourism industry. In addition, there will be $44 billion in public and private funding for national highways, roads, railway and ports, and communication, making it the greatest investment in the nation's infrastructure in 25 years. Over the next 5 years this growth will add an estimated 350,000 jobs per year. Mexico is the second largest economy in Latin America, with the highest per-capita income. With beautiful beaches, cultural traditions, cuisine, music and festivals, it is also an important destination for business. Mexico has one of the most stable, open and deregulated developing economies in the world. Tourism is a national priority for Mexico, giving foreign investment necessary means and legal guarantees. Mexico's regulatory framework fully backs foreign ownership in economic areas, offering security to foreign investors. Mexico's lower house of Congress, similar to the House of Representatives in the US, has passed legislation by a 2/3 margin to end the requirement of a trust (Fideicomiso) for purchase of property. The measure is currently being considered by the Senate and state legislatures and could soon become law. 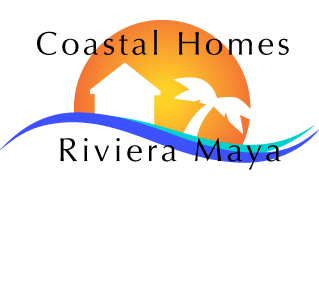 In order to legally purchase property in what is known as the "Restricted Zone" in Mexico, which is defined as within 31 miles of the coastline and 62 miles of the borders, foreign buyers needed a real estate trust. Known as a Fideicomiso, it was the mechanism to legally own property in Mexico. Mexico's constitution took measures to ensure the protection of its land after massive land loss throughout history. The fideicomiso was instituted to allow foreign investment in Mexico, which now may not be a necessary step. This will streamline the process of a property purchase in Mexico by eliminating the previous restrictions and saving a significant amount of money in the closing. The intermediary step of the bank acting as Trustee is eliminated. The reform of Article 27 of the Constitution will allow foreigners to acquire property in the restricted zone, as well as provide a boost to international tourism development, foreign investment and job creation in Mexico. This could be the best time to act. Considering all these factors; fee-simple ownership, relatively low property costs compared to other tropical destinations, afforable health care, our current and steady appreciation, and Mexico's dedication to improved infrastructure, all creating a very attractive investment. With thousands of baby-boomers retiring, there has been a growing demand for real estate along Mexico's Caribbean coastline in the Riviera Maya. This change in the law will serve to further that interest in a property investment. A high-speed train has been proposed for the Yucatan Peninsula, with the second phase connecting Cancun to Tulum. 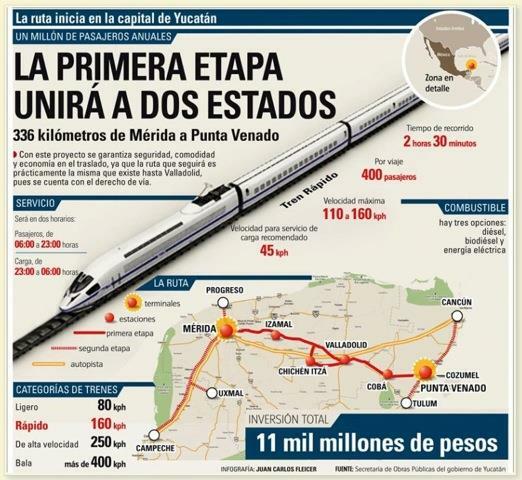 Mexico's new President, Enrique Pena Nieto, presented the Merida-Punta Venado Trans-Peninsular Train project, to be built under a concession or public-private partnership. It is a key priority, emphasizing his commitment to improved infrastructure. The train will use existing tracks that will be modernized. The project will enable passenger travel as well as facilitate trade and shipping of merchandise from Yucatan to Quintana Roo. A modern, diesel-powered train, carrying up to 400 passengers and traveling at 100-110 miles per hour, will be used for the routes. The high-speed line will also connect tourists to the region's most significant Maya sites and travel times will be coordinated with the arrival of cruise ships. 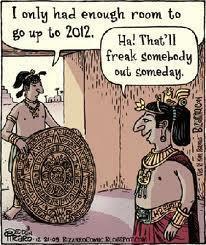 2012 brings interest to the world of the Maya. The original “save the date” began with a carved inscription of December 21, 2012. The Mayan mystique and prophecy, along with its richness in culture, beckons people to return where this began 5,125 years ago, to welcome the new era and stress the importance of our connections to the earth. This diverse tropical region, from the Yucatan peninsula to Guatemala, was once a vast kingdom, which peaked in about 300 A.D. By 900 AD, the Maya had abandoned their communities, which were hidden by nature for 500 years. Ten million Mayan descendants remain in the region, speaking an estimated 30 indigenous Mayan languages. The Mayans built temples and pyramids, created elaborate astronomy maps and calendars, and developed sophisticated mathematical systems with astonishing calculations. They predicted planetary alignments for 10 centuries. This year brings attention to the Maya Long Count calendar, which spans a 5125-year period of time, and will come to an end on the winter solstice of the Gregorian calendar date of December 21, 2012. That date was inscribed in stone 1,300 years ago near Tabasco, Mexico and is widely debated among historians and theorists. Countless books and articles have been written in an attempt to explain it. Even though the Mayans, whose people flourished in the first millennium, never indicated an end to the world on December 21, only that the Mayan calendar was starting another 394-year cycle. Numerous special events are planned. The "end of the world" is hopefully marked by an economic boom, of benefit to the Mayan people and their culture, while also highlighting their fascinating civilization and incredible achievements. The Mayans mastered complex concepts in astronomy, mathematics and architecture centuries before the Western world. Millions of travelers are expected to visit the region and participate in the Mayan-themed events. Whether 2012 ushers in a new era of cosmic peace and understanding, or wipes out the human race, your travels may have to be paid in full in advance… just in case.